How To Play Other Mariokarters From All Over The World Via Your WI-Fi Network and Nintendo WFC! Now I haven't picked up and played with a handheld like the Nintendo DS Console in years - my sons get a DS and a PSP and he loves playing with them, but I just haven't got the time. The other day though my son asked if I wanted to have a go on his DS while he played on his PSP. 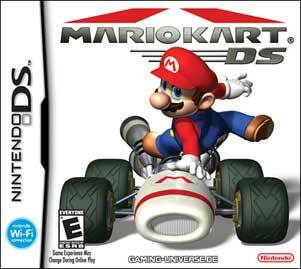 I jumped at the chance and was soon whizzing around the Mariokart DS levels just like the old days on the SNES. Going through the options I could see you could set the game up for network play with your mates, and also play people around the wotld via your wireless network at home and connecting to Nintendo's servers. I'm sure we did this when my boy first got his DS, but as I had to set it up again I thought I'd do a quick web guide and video. So in this guide we're going to look at how you set your wireless router up, and your DS in order to get on the WFC Network and play real opponents instead of just the DS's CPU. You should be sitting by your PC with the DS closeby, we're going to be setting them up in parallel. First we need to get into our Wireless router. That should get you to your routers password login screen. 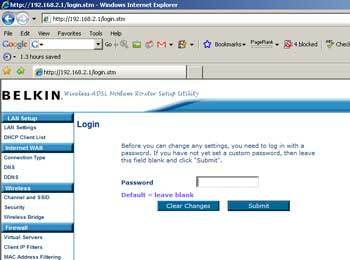 Enter your password and click on the Wireless settings. Your wireless router is probably different to mine, but if you look through the settings makes sure wireless is enabled, and make a note of your SSID. Next have a look at the security screen. The Nintendo DS likes WEP with the other settiings you can see in the picture on the left. Now fire up your DS (with the Mariokart cartidge in it), start the game, and choose "Nintendo WFC" from the main menu. Next go into Nintendo WFC settings. Choose the blue box, "Nintendo Wi-Fi Connection Settings", then "connection 1"
You should now see a screen something like this. 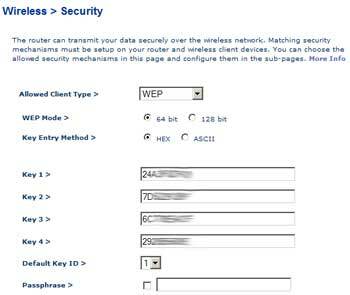 Enter the SSID from your router, and one of the WEP keys. Click Save Settings and you're done! You should now be able to play on the Ninendo WFC against people from around the world! 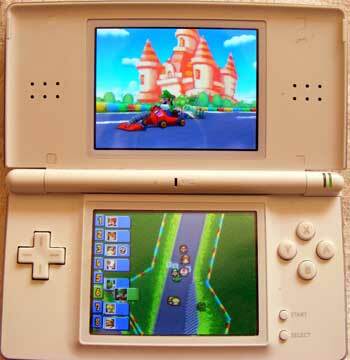 There's a video to the left of Mariokart running on the DS, but at the time no other players were available on the WFC, but if you haven't seen Mariokart DS in action before it's worth looking at. if you have sercurity on your wirelss router the ds doesnt like it you shouild disable sercurity first. Cara. Dangerous - your wireless network would be wide-open to intruders! Just thought I would add to your great tutorial. If the wireless access point is both B and G networks (802.11b or 802.11g) you have to set your router to mixed mode because the DS does not like the G network and will throw connection errors at you. 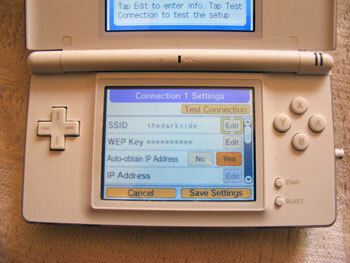 Setting the access point to mixed makes sure that it can accept connections from both your fast laptop using G network and your DS on the slow B network. Also if your in one of those free access points in a coffee shop or McDonald's and you can't connect then this might be why... Weejamer.